It's summer time, and one of my favorite things about summer (other than the smores) is lemonade. Ok, I won't lie I'm also addicted to Peach Sweet Tea, but my kids love the lemonade! I loved drinking lemonade as a kid. I even remember having a contest with a friend on who could make the sourest batch of lemonade. That one ended when someone put a whole bottle of hot sauce in their pitcher…… Yeah…..
Well I've grown up since then (for the most part) I love raspberry lemonade, and I have recently grown an addiction to Mango Lemonade. My kids still prefer the regular lemonade or anything colored blue, but they will drink this too! Ok, this recipe is super easy here we go! 1.Make a simple syrup by heating 1/2 cup water and the sugar until the sugar is dissolved. Allow to cool. 2. Peel and puree the mango. 3. 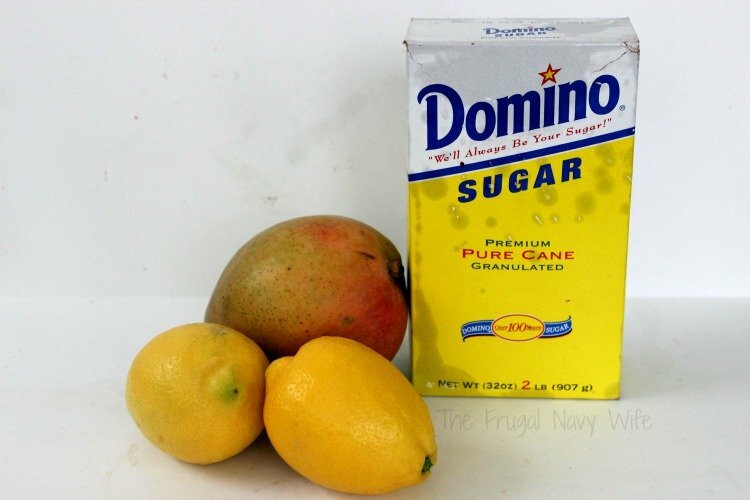 Add mango puree, lemon juice, syrup and water to a pitcher and mix well. 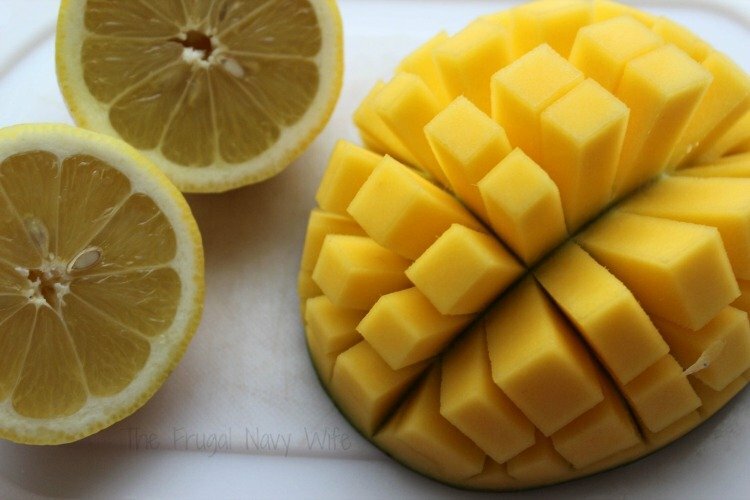 If you are looking for a healthier version, you can substitute the sugar for honey or agave nectar. 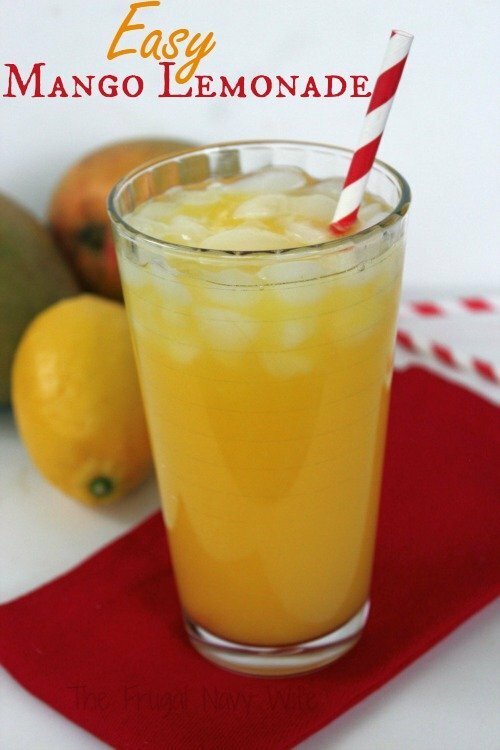 Add mango puree, lemon juice, syrup and water to a pitcher and mix well.